What Exactly IS A “Metroidvania”? I’ve never liked the term “Metroidvania“. If you have played a Metroidvania, then you probably have a pretty decent idea of what kinds of experiences to expect from other games of the same type, and perhaps you even have a conceptual model of the underlying formula itself. When used right, it is a strong approach that can lead to some really awesome games. But in practice, the term “Metroidvania” is very clumsy and confusing, and does not get to the heart of the formula within. In this post, I will attempt to outline the term’s flaws, break down the formula into its components, and suggest a more useful alternative. According to Doug Church’s Formal Abstract Design Tools (FADT), a useful definition must be both formal and abstract. A formal definition is precise and can be explained to someone else. An abstract definition focuses on underlying ideas rather than genre constructs. So how does “Metroidvania” fall short of these goals? To begin with, there is ambiguity regarding which shared properties are essential components of the formula, and which ones are not. Does a Metroidvania need to be 2D side-scrolling? Could it be 2D top-down, or even 3D? Does a game need to have platforming to be a Metroidvania? Many sources define it as a subgenre of the “platforming” genre. This majority includes Wikipedia, where if you search the term you will be redirected to “platform-adventure games”, a header under platformer. But what about games in the Metroid Prime series, which contain only minor platforming elements and are labeled “first-person action-adventure” games? Do they have enough platforming to be Metroidvanias, or are they excluded? Another well-accepted trait of a Metroidvania is nonlinearity. But the very first Castlevania game consists of six levels in a strictly linear progression. Tvtropes attempts to remedy this by specifying “later” games in the Castlevania series, but that must have been written before “Castlevania: Lords of Shadow”, a modern 3D title that returns the series’ linear roots. Will they further update the definition by specifying a range of years JUST to exclude this game? 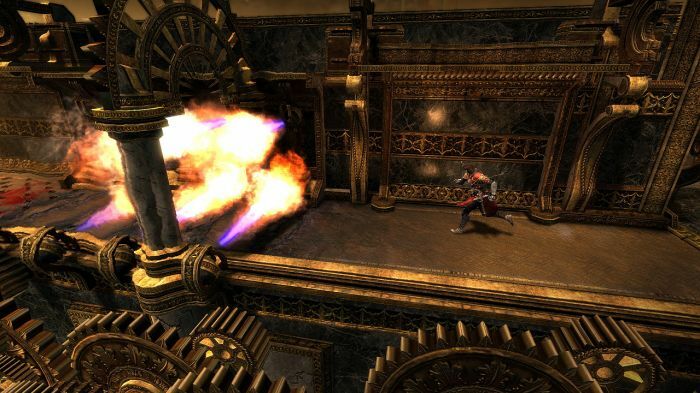 Castlevania: Lords of Shadow does have some light exploration, but in general the design is linear. It feels silly to map the definition to series. Instead of continually adjusting the set to fit the definition, we need to recognize that because our definition is imprecise, it is informal. The second problem comes from the use of concrete examples instead of abstract concepts. Let’s say that for sake of argument, we limited “Metroidvania” to just “any game containing the major gameplay concepts shared by Super Metroid and Castlevania II. Even though this makes it easier to figure out the what those “major gameplay concepts” are, Metroid and Castlevania are not two different concepts that combine to create the formula, but rather two specific video game franchises that make use of the formula. To illustrate why this is an issue, lets look at an outside example: Just as many Metroid games and Castlevania games are great examples of Metroidvanias, firetrucks and apples are great examples of “things that are red”. But we don’t use “fapple” (“firetruck” + “apple”) to refer to objects that are red! A stop sign isn’t red because it shares its color with firetrucks and apples – it is red because it reflects certain wavelengths of light. Properties are not defined by the objects that have them; objects are defined by their properties. So because it does not focus on the underlying formula itself as a set of shared properties, “Metroidvania” is not abstract. To create a FADT, we need to move away from examples and get at the heart of the formula; the real underlying structure and resulting behaviors. What are the component properties of a Metroidvania game? 1. A world design that emphasizes exploration in an open-ended environment full of highly inter-connected areas. 3. Power-ups, or key abilities attained, give you the power to overcome obstacles in your way. This puts huge emphasis on personal growth, because where you can go and what you are capable of is directly proportional to the power-ups at your disposal. Power-ups include but are not limited to: suit upgrades, magical powers, weapons, tools, creatures, and artifacts. 4. Although movement and presentation is generally non-linear, the order in which you obtain these powerups and gain access to new areas will often follow a sequence. This sequence is crucial to the inclusion of a clean difficulty curve and narrative arc. While there are other similarities between core Metroid and Castlevania games, to me these are the traits that define the Metroidvania play experience. 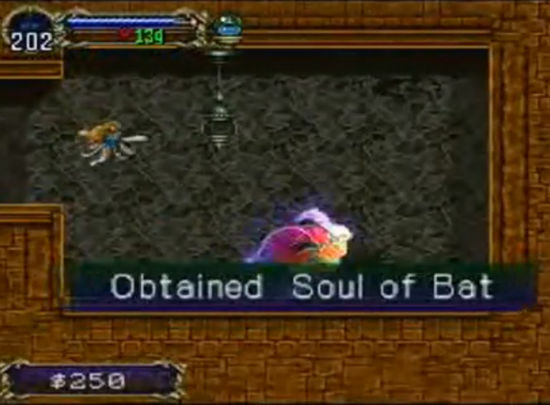 Now that we have our component properties, I’d like to propose a new term to replace “Metroidvania”. A possible name could be: nonlinear power-up progression (NPP). “Nonlinear” covers exploring an open-ended environment, and “power-up progression” covers using power-ups to overcome obstacles in a sequence. It’s not catchy, and I hope that one day someone can come up with a nickname that rolls of the tongue… but it works. Pretty much any game currently in existence can be tested against NPP’s parameters for a conclusive decision. 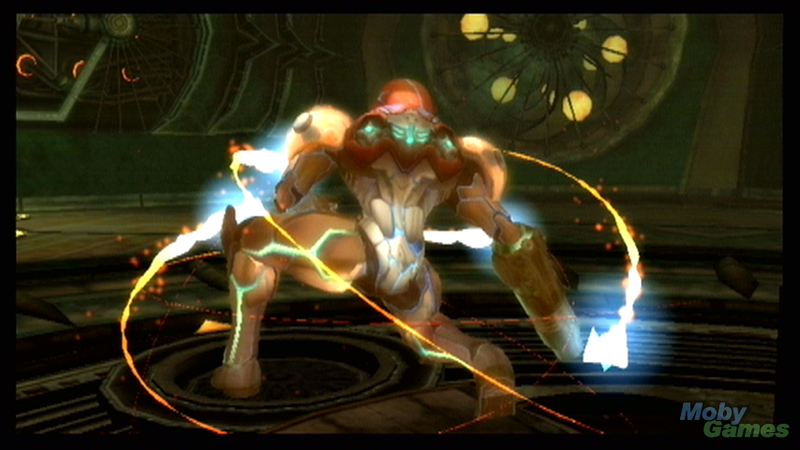 Metroid Prime games feature NPP, while the first Castlevania and Metroid Prime Pinball not. NPP includes widely accepted Metroidvanias like Outland and Guacamelee, but also 2D and 3D games in the Zelda series. 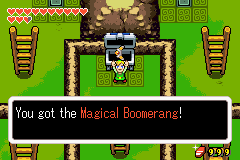 Link opens a chest and uncovers a new power-up in The Legend of Zelda: The Minish Cap. Including Zelda might be strange to some, but for someone like me who grew up playing Metroid and Zelda games and seeing those relationships all along, the proposed “platforming” requirement seems much stranger. Zelda games fit NPP because they are nonlinear in physical progression (yet follow a clear sequence), place emphasis on exploration, and promote growth through key powerups (items/artifacts) which are used to overcome obstacles such as pits and destructible walls. 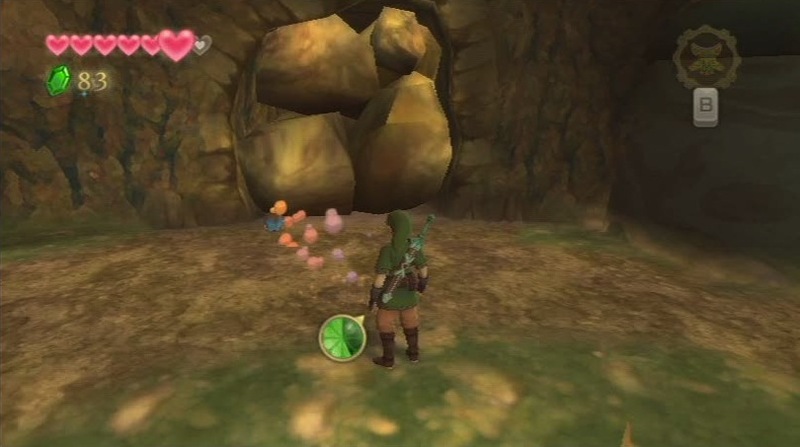 One of the major difference between Zelda and “traditional” Metroidvanias is density. 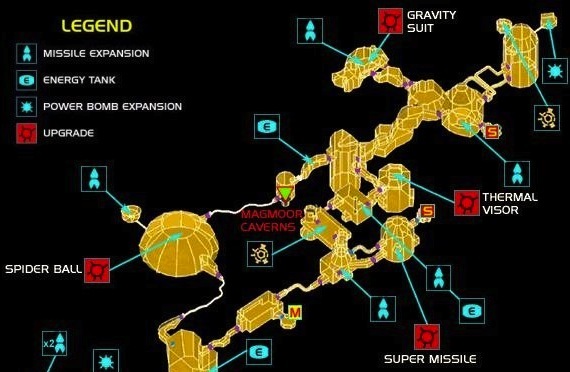 Zelda games will often boast a large but relatively sparse overworld for exploration, then pack the meat of the puzzles and combat scenarios into dungeons. Whereas Metroid games tend to offer spread exploration, puzzles, and combat across the world in a relatively uniform manner. Each approach results in a very different feel, but I think they both fit inside NPP. How do we place our terms into a clean hierarchy? On the one hand we have “Metroidvania”, which exists as a somewhat vague subgenre of the “platforming” genre. On the other we have games that follow non-linear powerup progression, which are a subset of all nonlinear games. Since the sets overlap, NPP does not outright replace Metroidvania. But as a design tool, I think it’s more useful to focus on NPP as a formula that subsets nonlinear progression than to worry about “Metroidvania”, redefined as “a platforming game that follow NPP”. I think that meaningful progress in critical language development requires us to think about game formulas and categorization by genre in completely different ways. Maybe we need a new tree hierarchy, or maybe we don’t want a tree at all! We’ll talk more about genres another day, but for now I hope that this post provokes some thought and invites you to help me question paradigms.